Is there anything better than sipping a freshly brewed, hot cup of coffee while you take in the breathtaking Outer Banks scenery? We think not! That’s why we were adamant about including locally roasted coffee in our inaugural Outer Banks Box. 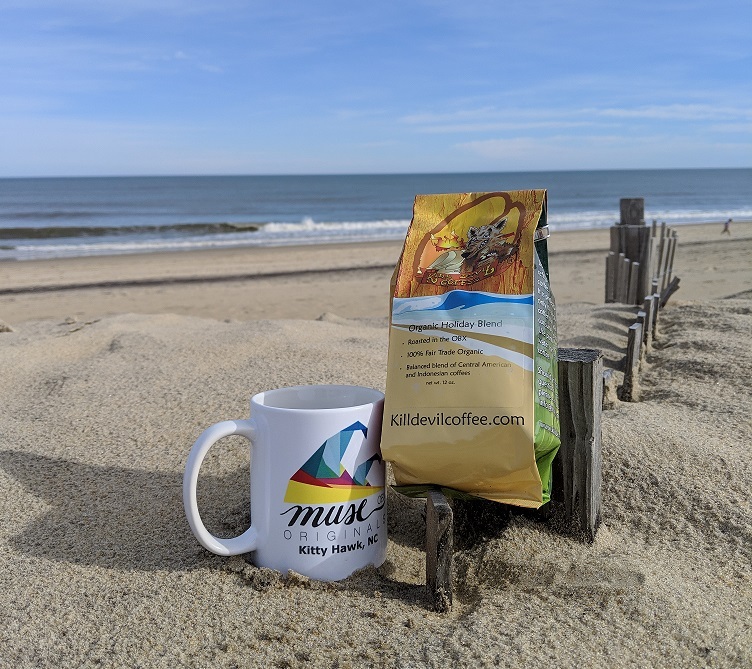 The expert coffee roasters at The Front Porch Cafe were able to craft a blend of beans that fit our perspective of the Outer Banks: enjoyable by all, inescapably addicting, and with a touch of edge and mystery. Our final creation proved to be exceptionally smooth and inviting, but with a touch of smokiness and complexity. Get your bags now while they last! 12oz ground coffee.